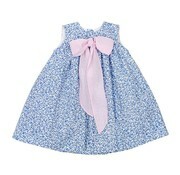 Perfect for Easter or Beach pictures. This gorgeous navy linen shorts set is perfectly southern! 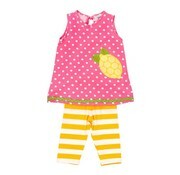 Adorable matching sister and brother sets! For special occasions and special girls. 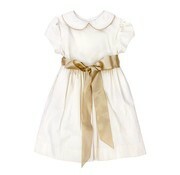 With its Peter Pan collar and ribbon sash, this elegant dress has a timeless quality, and just a touch of poetry. Hip hop hooray. 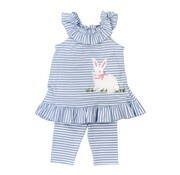 A smiling rabbit with delightful cotton tail sits on a background of sky blue stripe knit perfectly ruffle tunic paired with comfortable knit capri leggings. 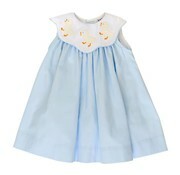 Our forever comfortable float dress gets a parade of ducklings this spring. 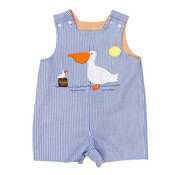 For family gatherings and her favorite Easter activities, your little girl will have all her ducks in a row. 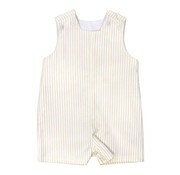 For the debonair diaper crowd. This handsome John John is comfortable and well-made to withstand emotion-filled days. Looks terrific with a monogram. 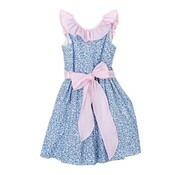 Ruffle sleeves and fairy silhouette will make this float dress a favorite with your little girl. 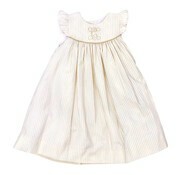 Keep it simple, or make it her own with the addition of a monogram. Perfect for Easter or Beach pictures. 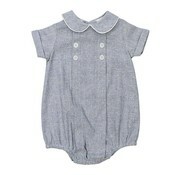 This gorgeous navy linen bubble is perfectly southern! 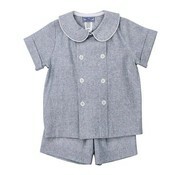 Adorable matching sister and brother sets! All aboard for fun. The Easter train is coming to town. 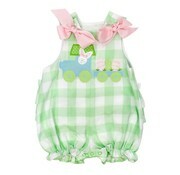 Fresh green gingham is a warm welcome for spring, while pretty pink bows wrap up the sweet look. Bring on the bubble blowing. 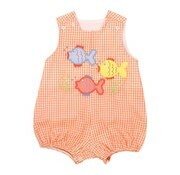 Three colorful fishy friends swim on this bright little outfit to delight baby and parents alike. Too cool for goldfish school. 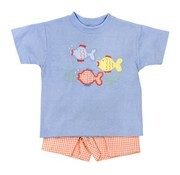 Your little man will look and feel great in this short set with fishy friends and nifty color combo. 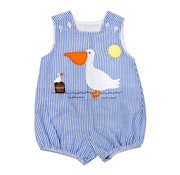 Make a splash with this adorable diaper cover set. 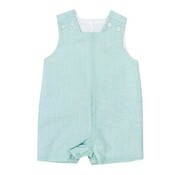 From the egg hunt to Sunday brunch, this special outfit is perfect for Easter, and moves with your little duckling. 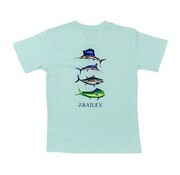 Which fish dresses the best? The swordfish. It always look sharp. 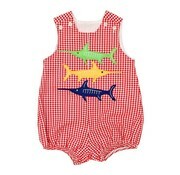 So too will your little guy in this adorable red gingham outfit. 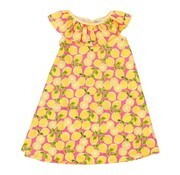 Flock to this cheerful float dress. 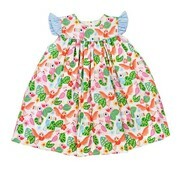 Dozens of brightly colored birds and striped ruffle "wings" are enough to make any girl's heart sing. All aboard for fun. The Easter train is coming to town. Fresh green gingham is a warm welcome for spring, while pale yellow top bring cheer.